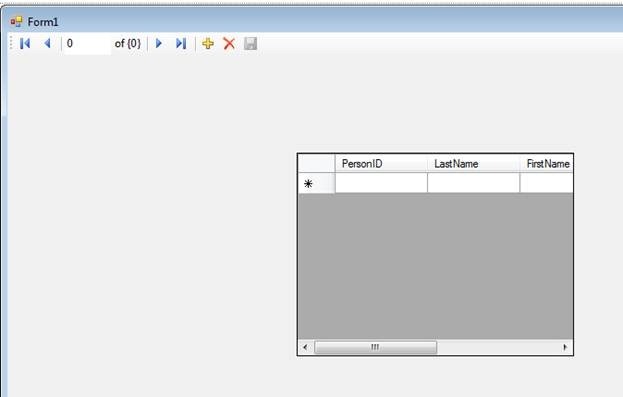 In this post I will show you, how you could bind a Windows Form with Entity created by O/R designer. 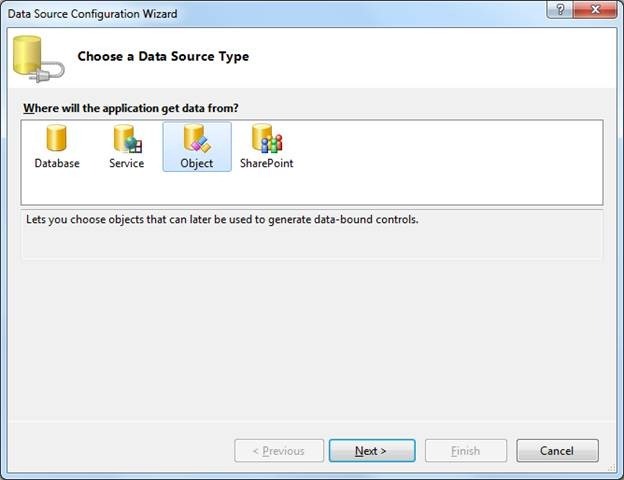 Essentially we are going to create a DataSource using generated entity of O/R designer. 1. 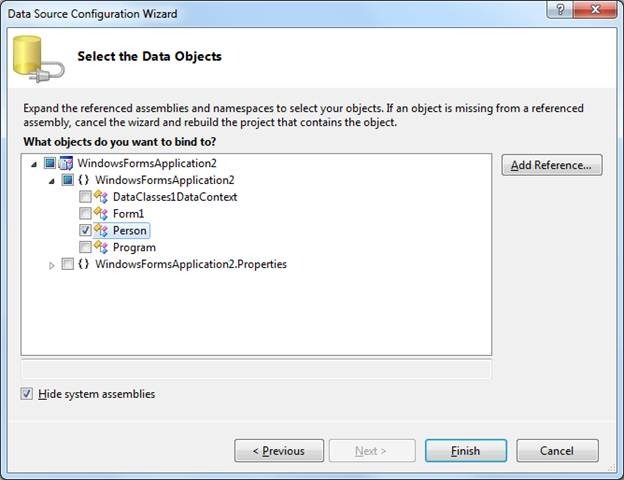 You have created Windows Application project. 2. 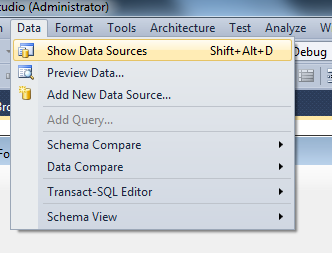 You have created Datacontext and entity class using LINQ to SQL class. 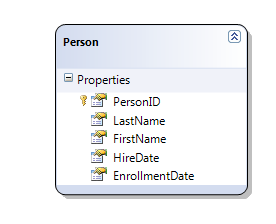 Imagine you have dragged and dropped Person class on O/R designer from School database. Dbml file is looking more or less like below. 5. 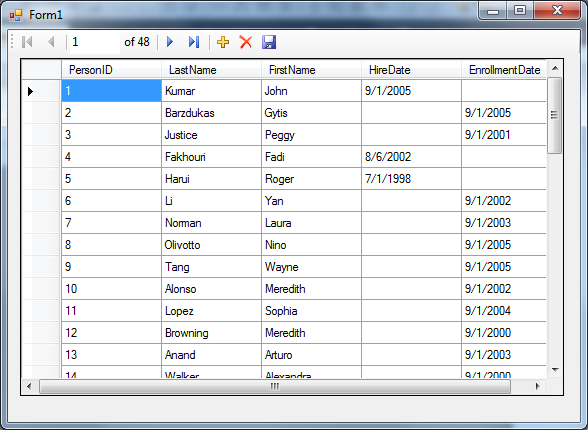 Now you will get Person in Data Sources listed. Select and drag on design surface. 6. 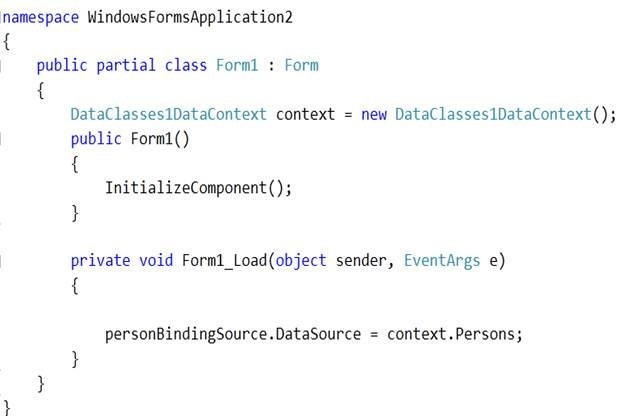 Now open the code Form class and add below code. 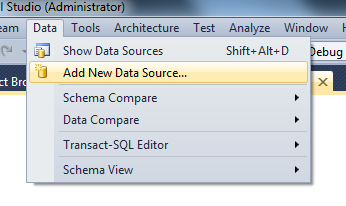 Since you know to populate the data you need to set the Data Source of Binding Source as DataContext . 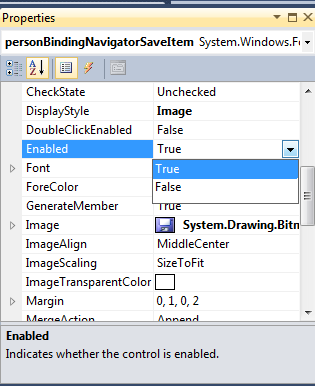 Then in Properties Windows set Enabled as true. Now you should able to perform all the operation.